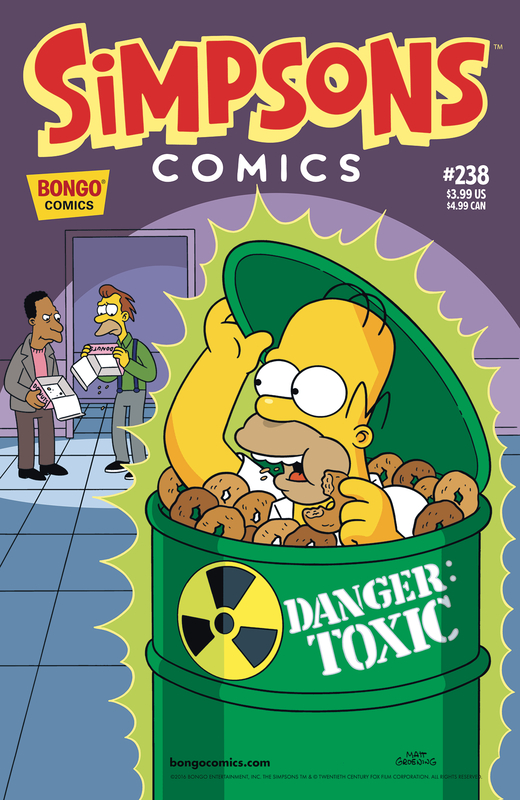 Simpsons Comics #238 is the two hundred and thirty-eighth issue of Simpsons Comics and is was be released on March 22, 2017. "Homer’s in a rut, but madcap night of unexpected adventure helps him get in touch with his inner (and long dormant) “bad boy.” Then, Homer must make the most important choice of his life… which of the last two donuts he should choose to start his day! Finally, Itchy & Scratchy pair up for a “short” night of caped crusading derring-do!"